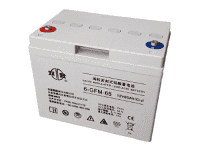 6-FMX series products is a high-capacity battery of new model. With easy usage and maintenance, it is intended for service in telecom system, UPS, and security system, etal.The designed life could arrive 12 years above. "The NSB BLUE+ Battery ®delivers ultra-fast recharge and exceptional PSoC cycling performance." 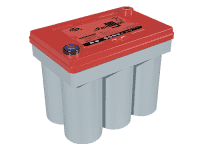 Designed life: Float charge life 10 years (normal use at 25℃, fully charged). 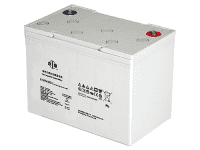 Deep cycle life 1200 cycles (at 25℃ discharge depth 80％, and recharge fully in time). Seal reaction efficiency: over 99％. Adopting lead carbon technology, reducing sulphation of the cathode, ideal for PSoC cycle application and delivering 7~8times cyclic life compared with normal VRLA. 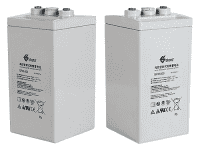 Pure lead electrochemistry greatly increases temp and corrosion resistance, while reducing component ageing. Thin plates deliver large surface area, high power density and low resistance. Design life 15+ years at 20°C (68°F). Extra-long life at high temp operation 40°C (104°F). 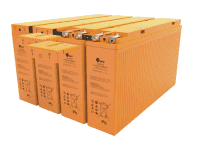 "NorthStar OPzV Batteries deliver high capacity 2V reserve power and deep cycle performance." System features high-performance pure lead spiral wound VRLA battery. 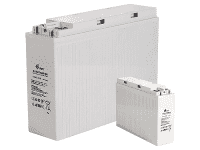 Recharge 95% of the capacity in 40 minutes, /excellent fast-charge performance. 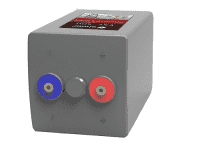 Remote monitoring and unmanned functions. Best performance for continuous operation up to 35°C. Extend service life under high temperature. Excellent over discharge recovery capability.